Logo and corporate design for consulting company. 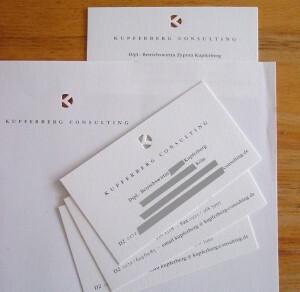 The logo reflects the letters C and K, coming from Kupferberg Consulting, and is not printed but a punch out form. 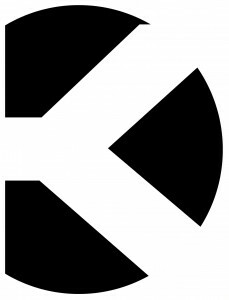 Only for screen and other special elements the logo appears in gray with a shadow to simulate the punch-out-effect.